Increase business productivity by sending bulk promotional text messages to your customers using magnificent Text Messaging Software. Visit onlinesmstextmessaging.com for getting more updates regarding text sms forwarding program. Admirable message sending software is fully capable to create and transfer multiple text sms over worldwide within shortest time of period. 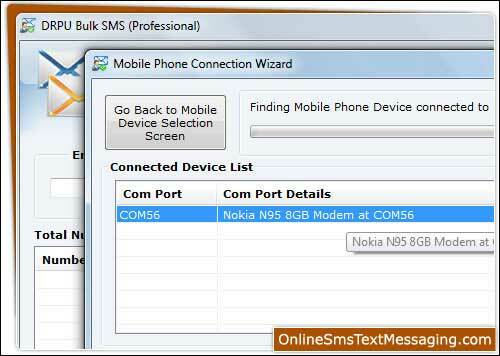 Technically sound sms delivering application provides option to load mobile phone contact numbers from computer system saved in excel files to forward boundless text messages from computer attached with major GSM technology phones.